I have diabetes – what can I do about it? You’ve probably heard the adage, ‘If life gives you lemons, make lemonade.’ Or the saying ‘You have to play the hand you’re dealt.’ There are risk factors for diabetes, some can be changed and some cannot. This article will address both sets of risk factors, and provide information about both. A risk factor is something that increases the likelihood of developing a disease or condition. In diabetes there are two types of risk factors, modifiable and non-modifiable. To modify means to alter, so with the modifiable risk factors change or alteration is possible. Non-modifiable then refers to factors that cannot be altered by the bearer, and is something that must be lived with. As we age our risk for diabetes type 2 increases. Type 1 diabetes is something that usually affects younger persons. Race or ethnicity also cannot be altered, certain races have higher incidence of diabetes. In the United States those of Latin descent, African-American and Native American all have higher incidence of type 2 diabetes. Those with a family history of diabetes are also at higher risk of developing diabetes. Weight is a challenging subject for many, especially in America. In classes I teach to newly-diagnosed diabetics I refer to diabetes as a disease of abundance. There are just too many delicious choices for most of us in the first-world, and we don’t always have to choose just one item. We are blessed to have many dining options, too many of which have far more calories, and far fewer nutrients than we really should consume. Often the cheapest choices are often the most delicious, and the worst nutritionally. The important thing to remember with weight is you have some control over your weight, and you definitely have control of the inputs to your weight. More on that below. Diet is something that each one of us determines for themself. Unless you are in the military (on a sub, etc), or in a correctional institution, you determine what you eat every day. Many of us have little training in nutrition or what a healthy meal is, but now is the time to find out. Although nutritionist visits are sometimes not covered by insurance, a few $50 visits to a nutritionist can pay off large dividends in avoiding large swings in blood glucose, and in avoiding worsening diabetes. Northwest Kidney Center has an informative page about holiday eating. 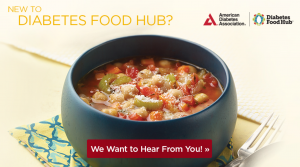 Diabetes food hub has recipes and articles on eating healthy without giving up on taste. I don’t have diabetes personally, but I would like to see a thinner version of myself in the future, so I use a free calorie counter and exercise tracker from UnderArmour called myfitnesspal. There is a website, or you can download the app from Apple or Android. Tying into the diet section is physical activity level. Slugs don’t read, but many of us could be mistaken for the average garden slug based on our activity level. Many of us work in sedentary (ie sitting) jobs, and then come home and reward ourselves for a hard day of labor with a calorie heavy, nutrient poor meal followed by more sedentary time in front of the TV. This is a hard habit to break, many of us have been at this for years. Here again, we are blessed to have literally thousands of TV or online entertainment options. Far too many to actually ever even sample, let alone fully consume. But we must break this sedentary habit, I’m not saying give it up entirely, just add in some cardio exercise. If you can add in 30 minutes of cardio three times per week, you will feel better, and your blood glucose will be more stable and likely trend down. Cardio can be moderate walking, jogging, biking, etc. If you are located in the United States there is probably a local YMCA where you can exercise alone or as part of a group. I’ll keep this simple, if you smoke or use tobacco products QUIT NOW. If you use any tobacco or nicotine products, one of the best things you can do for your overall health is to quit using them. Tobacco use is not a risk factor for development of diabetes, but it is a risk factor for diabetic related complications. So there you have it. A few items that YOU HAVE CONTROL OVER. But this only works if you take control. Just remember that there are factors in your control, and enjoy your lemonade! Can A Blister Cause An Amputation? This website does not provide medical advice. 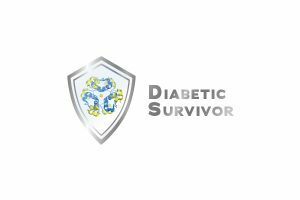 Although some contributors are physicians, all information on Diabetic Survivor is informational and educational in nature. For medical advice please speak with your doctor.